In a report titled "Augmented Reality in Retail," market research firm ABI Research concludes that, while augmented reality will bring positive improvements to employee efficiency and online customer engagement, in-store augmented reality experiences will be less impactful. "For consumers in brick-and-mortar stores, however, AR can disrupt the customer journey and provides little additional value overall," said Nick Finill, senior analyst at ABI Research, in a statement. Online customers, the report claims, will find more utility in virtual product interaction. 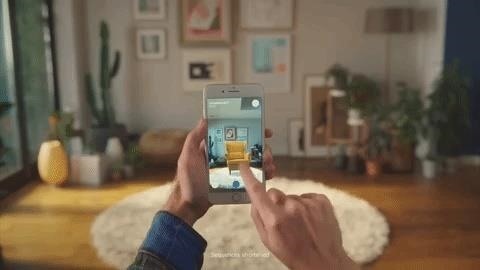 The report cites companies like IKEA, which allows customers to preview furniture in augmented reality through the IKEA Place app, and L'Oreal, which recently acquired ModiFace to boost its augmented reality capabilities. According to ABI's forecasts, online augmented reality experiences will generate approximately $122 billion in revenue, or about 3% of e-commerce sales, by 2020. "The relative ease of integrating AR into existing m-commerce platforms and the impact this can have on the user experience will largely drive customer demand," said Finill. Meanwhile, the report asserts that retailers will reap savings from the operational efficiencies made possible by smartglasses and enterprise AR applications. ABI forecasts that 120,000 stores worldwide will use AR smartglasses in their operations by 2022. ABI's report also profiles Vuzix and Ubimax in this regard. Penny Saver, another company profiled in the report, used Ubimax's xPick software and Vuzix's smartglasses, as well as Google Glass Enterprise Edition, in a pilot program last year. "It was great to experience that for Ubimax, solving our challenges is in focus," said Andrei Paul, IT Manager and Penny Market in a case study by Ubimax. "Ubimax worked very closely with us to customize xPick to exactly meet our needs." Other companies cited in the report include Blippar, Lowe's Home Improvement, Google, Mastercard, and Microsoft, among others. The report aligns with the current landscape of augmented reality. Mobile AR dominates most of the current practical use cases, allowing brands to engage customers outside of stores. And while smartglasses are making believers of enterprise business users, a viable mainstream AR wearable for consumers has yet to emerge that would make AR a more natural experience in stores versus simply whipping out and unlocking your smartphone and launching an app.